Our trip from Clovis to Socorro, New Mexico was along US 60, a road that could qualify as one of the “loneliest” roads in America. There are only a very few towns and most of them have more buildings boarded up than occupied. 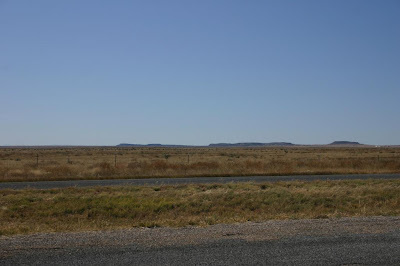 The trip is 250 miles of mostly flat arid land. Just before meeting I-25 the road drops into the Rio Grande Valley of Central New Mexico. It is still arid just not quite as flat. 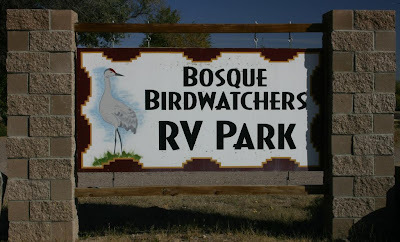 Our destination was the Bosque Birdwatchers RV Park. How cool is that: an Rv Park that actually has Bird Watching as part of its name. In reality it is just a very large gravel lot with hookups. However, after our trip to Alaska we consider anywhere where the power stays on and the water works all day as good. The owners are real friendly and give you choices of sites to stay depending on which direction is your preference. Full hookups at $20 a night is a good deal! Plus it is so quiet. After being near the highways at the previous campgrounds, this was a very welcomed amenity! The area around the RV Park is miles off of the main highway and very quiet. 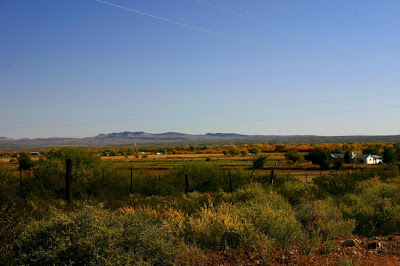 The area around the RV Park is typical of rural New Mexico, mostly arid land with an occasional farm. 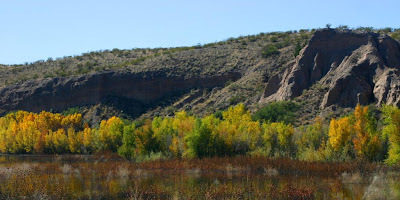 The real beauty of the RV Park is that it is just a few miles from Bosque del Apache National Wildlife Refuge. Bosque del Apache National Wildlife Refuge is as their website says “One of the Premier Birding and Wildlife Refuges in the World” Friends of the Bosque. The wildlife refuge was established in 1939 and is over 57,000 acres. 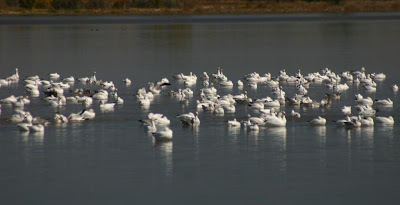 It is the winter home to 25,000 Sandhill Cranes and over 20,000 Ross’s and Snow Geese. 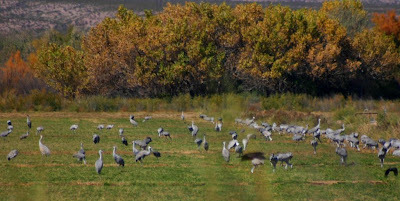 Every November they have a Festival of the Cranes. This major birding event attracts 8,000 to 9,000 birders each year and has had just about ever famous birder for the last 20 years as the keynote speaker at one time or another. As usual for us our timing is off and we won’t be here for the festival and most of the Sandhill Cranes and Ross’s and Snow Geese have yet to arrive. However, they have started to arrive so that although we haven’t seen cranes and geese in the thousands or tens of thousands we have seen them in the hundreds. We have seen waves of cranes and geese flying over in huge V formations. 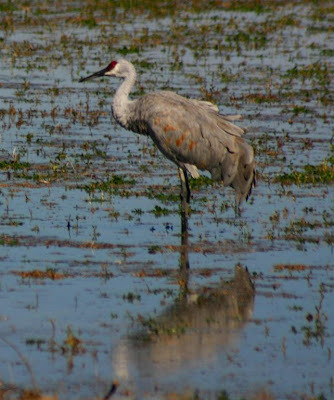 As with all wildlife refuges there are many other species of birds than just the species that the refuge was setup to protect. In our first two days of birding we saw 38 species on the refuge. 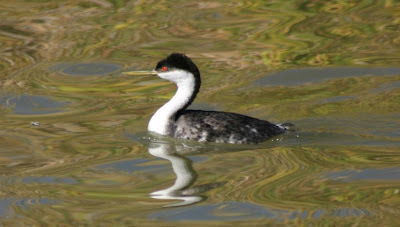 The largest number of “other” species was various ducks. Our year list is now up to 244 species.